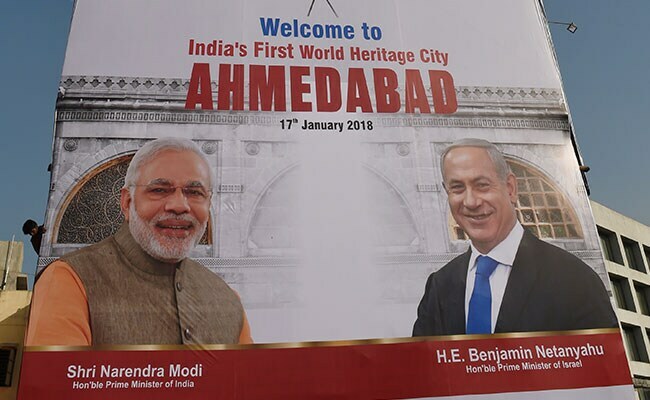 Benjamin Netanyahu's first state visit to India, capping a year in which he assiduously courted the Asian giant, was brimming with positive optics and lavish compliments. Indian authorities pulled out the stops during Israeli Prime Minister Benjamin Netanyahu's visit this week. His counterpart Prime Minister Narendra Modi showed up unexpectedly to greet him on the tarmac. At a dusty backwater in PM Modi's home state in Gujarat, children waved Star of David flags and sang in Hebrew. Farmers praised Israeli technology, and posters and billboards bearing the Israeli prime minister's likeness were plastered on roads. Prime Minister Netanyahu's first state visit to India, capping a year in which he assiduously courted the Asian giant, was brimming with positive optics and lavish compliments. 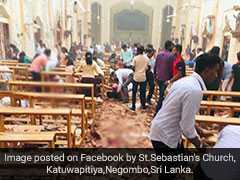 Behind the scenes, however, officials are laboring to sweep away significant obstacles to the more flourishing trade both countries want. An Indian diplomat, speaking on condition of anonymity to discuss confidential talks, said India is taking a renewed look at all its free trade accords, complicating the negotiations with Israel. Bilateral trade topped $5 billion last year, and Prime Minister Netanyahu and PM Modi repeatedly spoke of their desire for more. Driving the growing ties is Prime Minister Netanyahu's and PM Modi's shared worldview as national-security hawks and free-market proponents. Both see Israel's technology-oriented economy as a natural fit for India's, which needs innovation to improve everything from farming to healthcare. In a remote farming village in Gujarat, Both Prime Minister Netanyahu and PM Modi visited an agricultural training center where locals learn Israeli water-conservation and energy-efficiency techniques. 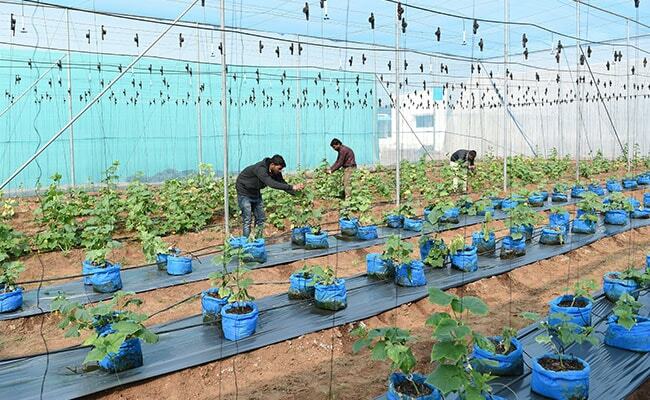 Israel has such agricultural centers around the world, but India -- with more than 30 -- hosts more than any other country. The growing ties have yet to produce Indian support where Israel wants it most -- at the UN and other international fora. Prime Minister Netanyahu expressed disappointment that India supported a UN General Assembly resolution last month blasting U.S. recognition of Jerusalem as Israel's capital, but said it wouldn't impede closer ties. One hurdle to trade is the circuitous flight between the countries. Direct flights have to circumvent countries to Israel's east that don't have official relations with the Jewish state, so it takes more than nine hours to fly the 4,000 kilometers (2,500 miles) from Tel Aviv to Mumbai. With Israel's still-clandestine relations with Saudi Arabia improving, Prime Minister Netanyahu told a group of businesspeople in Mumbai that Israel is working on a "simple, direct flight" to India. 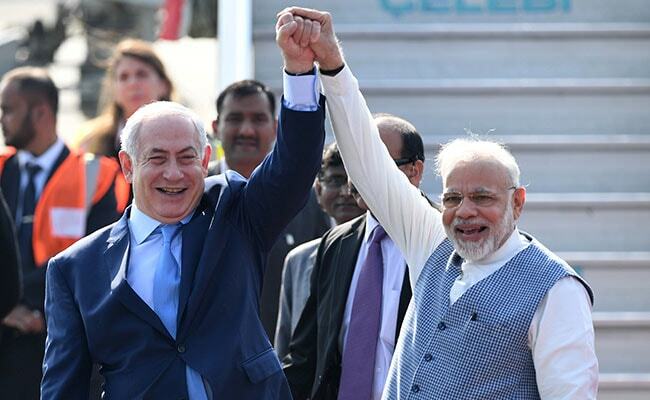 Prime Minister Netanyahu brought some 130 business leaders to India, which his office said was the biggest delegation an Israeli leader has ever taken abroad. PM Modi reciprocated with warm embraces, feting Prime Minister Netanyahu with traditional dancers in peacock feathers during a visit to Agra, where the Taj Mahal mausoleum was closed to tourists so Prime Minister Netanyahu and his wife could have a private visit. On his last night in Mumbai, Prime Minister Netanyahu partied with Bollywood royalty such as actor Amitabh Bachchan and director Abhishek Kapoor. Once the festivities are finished, it will be time to get down to details.